Its bordello museum had just closed for the winter, so I almost did not stop in Wallace. 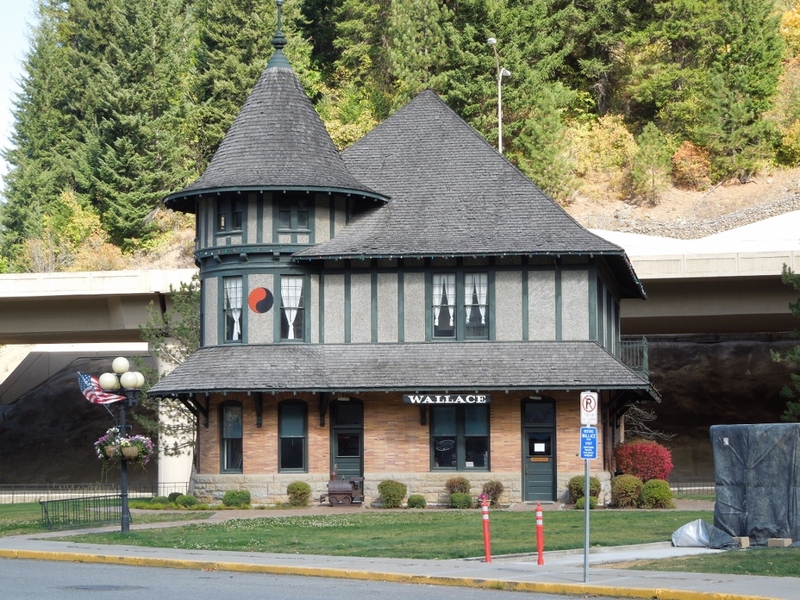 The Wallace depot now houses a railroad museum. The interstate behind it skirts the protected historic downtown. 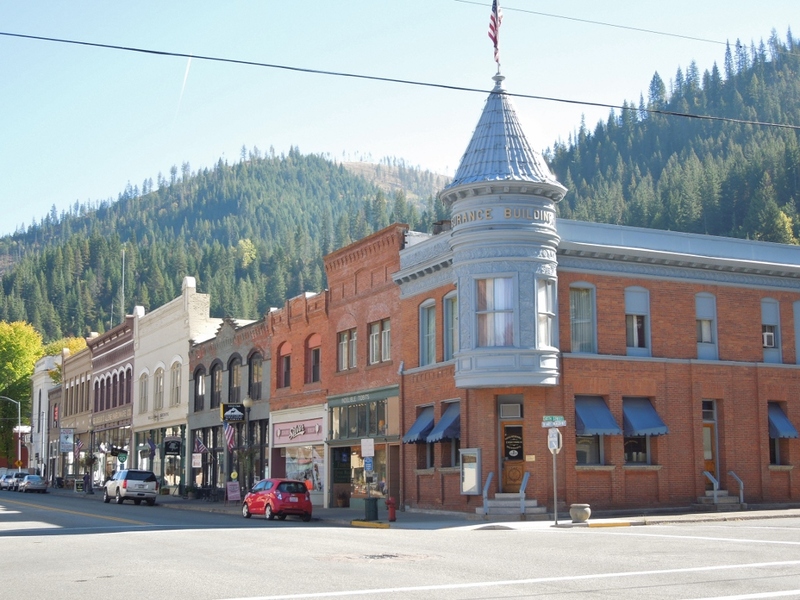 The Coeur d’Alene was the most productive silver-mining district in the United States. 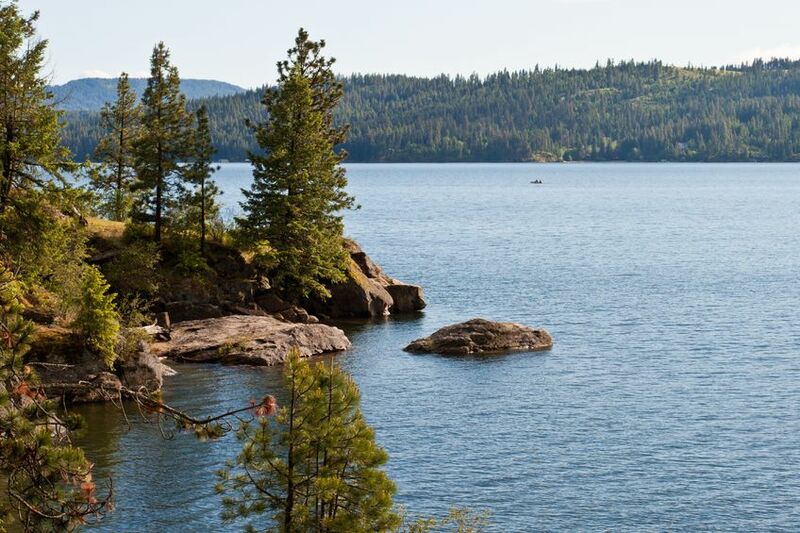 Lake Coeur d’Alene has scenic bike trails and an annual IRONMAN Triathlon. Every downtown building is on the National Register of Historic Places. I was hoping the Oasis Bordello Museum would be open, despite what I had read. I’m writing about the red-light district in another mining town, Cripple Creek. It was cold and windy, so I warmed up with a latte and friendly conversation with the coffeehouse owner. I took a stroll, and was I in for a surprise. 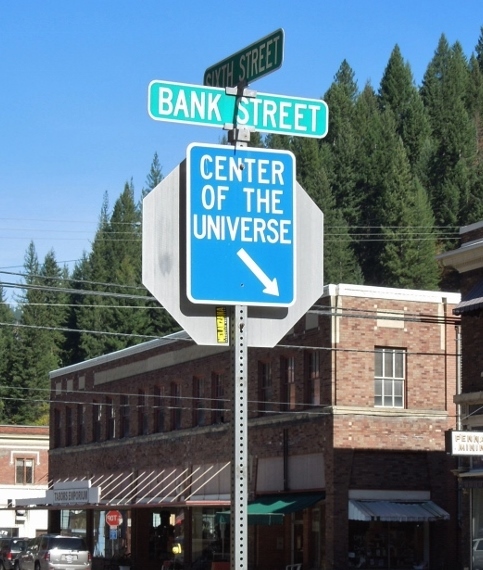 The arrow points to a manhole cover. Click here for the logic behind the mayor’s 2004 proclamation and to learn more about Wallace and the Coeur d’Alene area. Hey! We stayed in Wallace a few years ago. We visited the bordello museum (creepy, sad, not a good way for a girl to live). We also visited an old hotel which was said to be haunted. That was much nicer. The hotel, which is above a nice restaurant, wasn’t actually open, so we were lucky to get a look at it. Honestly, I don’t think we’d have been comfortable in the beds. But the modern hotel nearby had no soul whatsoever! I read that a lot of the prostitutes were depressed. A lot of them used drugs. Hmm…I am getting an idea for a new post about this. That’s cool that someone opened the old hotel for you. I’d like to hear about it. Check out my post Hotel del Coronado, Part 5 — Ghost Sightings Compiled by the Hotel on October 11, 2012.